Volunteers of America Greater Baton Rouge is grateful to have the opportunity to help participants gain independent lives. Watch Karen's amazing story and hear how she is living her most fulfilled life! Our Partnerships in Child Care program provides advanced teacher training, professional development, mentoring and coaching, developmentally-appropriate learning materials, and assistance to parents in finding quality child care. After the historic flooding of 2016, hundreds of thousands found themselves without homes. 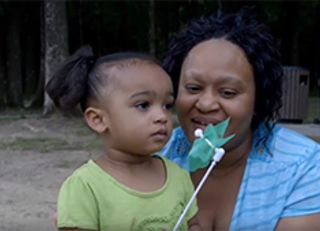 Learn how Volunteers of America Greater Baton Rouge helped Scribbles & Giggles Learning Center reopen their doors, and see how Walter and Jayden found a new place to call home. 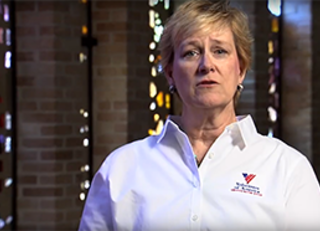 Janet Pace, President and CEO, explains what exactly it is we do here at Volunteers of America Greater Baton Rouge. Please join us on our journey to recognize and uplift those less fortunate in our community. Erron's family underwent many difficult times after financial complications caused them to be evicted and live in their vehicle. 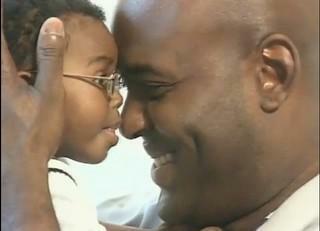 Volunteers of America Greater Baton Rouge extended a helping hand to get his family off of the street and into a home. Our Reilly Center for Children and Families has changed the lives of thousands of children over the years, including Michael who used to live at Parker House; Monica, a foster parent; Kenzie, a PH.D candidate who grew up in foster care; and Kaci who found her forever family. Claude was a homeless veteran living on the streets who got his life back on course with the help of our Garfield House program. As a case aid at our Drop-in Center, he now serves other people experiencing the challenges of homelessness that he once faced. Shannon's passion for volunteering led her to become a foster parent to three special needs children through our Therapeutic Foster Care program. Vivian found the strength to hold her family together even through homelessness with the help of our Housing First program. Beth has lived in our Westmoreland Community Home for over 10 years and proudly works in our pre-vocational Day Program. Since coming to Volunteers of America, Beth has developed goals and has a purpose in life. Volunteers of America has become part of Beth’s family and will continue to be by her side, helping her make plans for her future. Jason, a single dad of three young girls, was saved from the brink of homelessness through his own determination and the help of our Housing First program. Then, Volunteers of America staff in Baton Rouge and Memphis collaborated to help this family in their most desperate hour. With the help of Volunteers of America’s The Reilly Center for Children and Families, James and Cristina opened their home and their heart to Jeremiah, an infant with special needs. Kirsten, a child who lives at our Parker House Therapeutic Group Home, is receiving treatment while waiting for her own forever family. Lillie needed a safe, affordable place to live and found a special community at Oak Park Plaza. Thanks to a partnership with United Way, Lillie was able to receive extra personal care support when she was diagnosed with breast cancer. Erika, an army veteran, had to choose between losing her business or her home after her divorce. Living in a hotel with her 3 kids, she couldn’t save enough to pay for a deposit and first month’s rent on an apartment. Volunteers of America and United Way made a small investment in her family, and now they are thriving. Lila and her husband have a passion for educating young children. Volunteers of America’s Partnerships in Child Care programs with funding from United Way gave Lila and her staff the training and technical assistance they needed to make their child care center extraordinary. 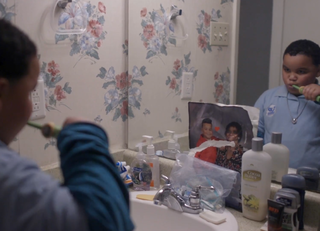 Joyce is thriving after her AIDS diagnosis thanks to her own personal strength and support from Volunteers of America. 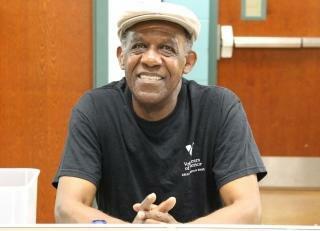 As a client advocate at Volunteers of America, Bernard helps people every day who are also living with HIV/AIDS.